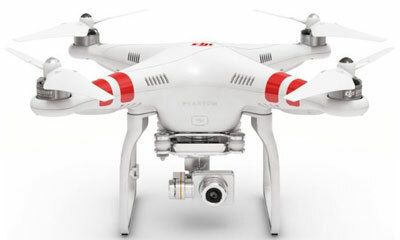 Since 2013, DJI has released various numbers of Phantom drones to the market including Phantom 1, Phantom 2, Phantom 3 and Phantom 4, with models and versions such as ‘Vision+’, ‘Professional’ and ‘Advanced’. Here we compare different features and options of these quadcopters. 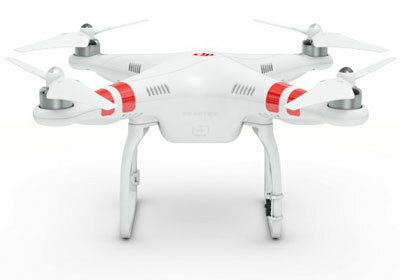 In January 2013, the first drone by DJI, known as Phantom 1 (or simply Phantom) was released. The quadcopter had very basic features (which could be seen in the following section) and no built-in camera. 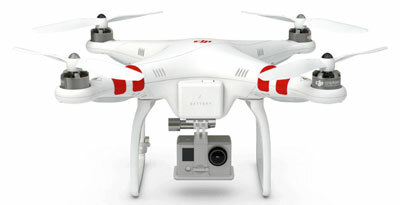 With upgrades such as increased controllable range, flight time and flight speed, and auto-return feature, Phantom 2 was available to the public in the late 2013. But users should wait until July 2014, before getting Vision+ version with extra upgrades and features such as more increased range and a 3-axix stabilizer. 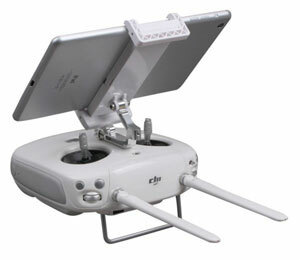 As an intermediate version between Phantom 2 and 1, in January 2014, DJI introduced Phantom FC40, equipped with Android/iOS app for controlling the drone, like ‘Vision’ and ‘Vision+’ models. Also, Phantom 3 and 4, with lots of improved options and extra features, were released in April 2015, and March 2016 respectively. Currently, we couldn’t find any online vendor selling new Phantom 1. Perhaps the only option would be websites listing used items for sale such as eBay. Please note that the production of ‘2 vision’ version has been discontinued by the manufacturer. Although for those insisting on getting this drone, we recommend searching for used products on websites like eBay. In fact, there are more differences between the ‘Advanced’ and ‘Pro’ versions such as the flight modes and obstacle sensing. 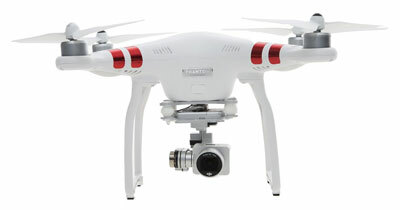 In fact, DJI added lots of new features and options to Phantom 2 which couldn’t be found in Phantom 1. Flight programming and video recording are two areas which included the most differences. The first item we’d like to mention here, is communication distance which undertook a great improvement especially in the ‘Vision Plus’ version. Also, working frequencies are different between the models, whereas the ‘3-axis camera stabilization’ is a new concept only introduced in the latest version 2 model. The 25 minute flight time in the newer version is also a huge improvement compared to the 10 minute in the older model of the quadcopter. And also, as mentioned earlier, the first DJI drone with its own camera is ‘Vision’ model, although it isn’t impossible to use a camera with older models. 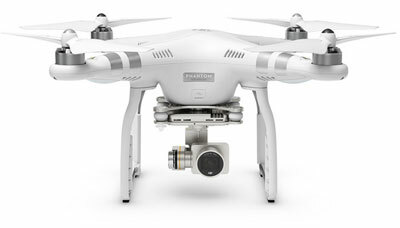 For instance, Phantom 1 could be used to mount a GoPro camera. 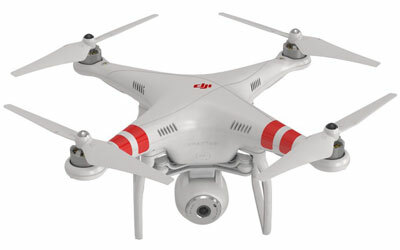 Video downlink feature could also be found in Phantom 2 quadcopter (‘Vision’ & ‘Vision+’ versions). 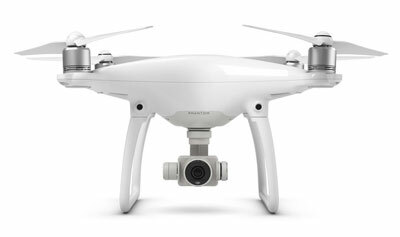 In terms of design and looking, Phantom 2 Vision+ and Phantom 3 are very similar. But the real differences like inside these drone models. One of the main areas to see a big change is maximum transmission distance. In the version 3 models of DJI Phantom, we could see 1000m in ‘Standard’ and ‘4K’ versions up until 5000m or 5km in ‘Advanced’ and ‘Professional’ models. For many users, one of the great advantages of version 3 models might their camera features. Up until Phantom 2 Vision+, users could only recover videos with 1080p/30fps maximum quality, whereas in Phantom 3 series, video quality has improved a lot (2.7k/30fps for ‘Standard’ & ‘Advanced’ models and 4K/30fps for ‘Professional’ and ‘4K’ DJI quads). In terms of flight range and live-streaming, newer models have seen huge upgrades as well. In Phantom 4, DJI adds many additional sensors to the drone in order to enable the quadcopter to track movement and avoid obstacles. These new features could improve the drones’ usability a lot. Due to larger battery, Phantom 4 is slightly heavier and bigger than the Phantom 3, but in exchange, it could reach a higher top speed and longer flight time (20m/s in ‘sport mode’). Other features of DJI Phantom 4 such as camera and controller are very similar to its predecessor, although we could see some big improvements in camera in ‘Pro’ and ‘Advanced’ models. Here we only mention a few examples of a huge variety and number of Phantom drones’ accessories which are available on websites such as Amazon. Tablets and phones larger than 5.5in are supported by this product, which features detachable and foldable design. This holder is compatible with DJI Inspire Series, Phantom 4, Phantom 3 Advanced / Professional / Standard drones. 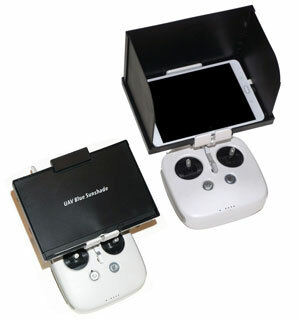 This holder is suitable for Phantom 3 (all models) and Phantom 4. This sunshade is transportable and compact, and UV resistance ABS plastic has been used to make it. As a foldable accessory, top and sides shades could be folded over the screen. Samsung Tab S2, iPad Mini, and similar devices could be easily fitted in this product. With Sleek black finish and 23X14X9 inches approximately, this carrying case is ideal for this drone. 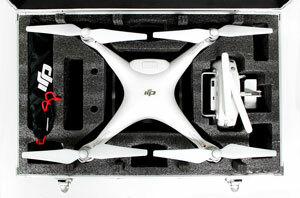 4 DJI batteries could be fitted in the case’s slots. There are also lots of other products such as chargers, gimbals, filter kits, FPV kits, Goggles, additional parts such as propellers, batteries, etc. which could be found and purchases easily. Later, we’ll compare Phantom to other major competitors such as DJI Inspire, Syma, Yuneec Typhoon and more.